A leading advocate for inclusive education, Richard Reiser, says he is increasingly concerned about the direction of inclusion in the Children and Families Act. For many parents, special schools are the only place they know their child will get the support they need. However, advocates like Richard want every school to be supported to include all the children in its area, whatever their abilities. As well as being a passionate advocate for inclusion, Richard Reiser, is a disabled teacher, trainer, author and film-maker who runs both the World of Inclusion website and UK Disability History Month. 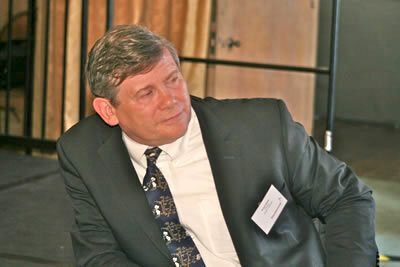 Richard was involved in drafting the UNCRPD and its Article 24 right to inclusive education. He has written books and articles on inclusive education including Implementing Inclusive Education and recently worked on preventing disablist bullying. Among many roles in his long career, Richard founded Disability Equality in Education that trained 150,000 educational professionals in the subject. He has also been vice-chair of the Council for Disabled Children, Chair of the Alliance for Inclusive Education and a member of the Government's National Advisory Group on SEN. So, you can deduce from that Richard knows a thing or two about the issues and I'm pleased to say he has written for SNJ about why we should all be concerned and how you can help fight discrimination at school. As an ex-teacher, SEND specialist, a disabled person, a SENDIST panel member and campaigner and trainer for inclusive education. I am increasingly concerned about the Children and Family Act reforms. The Statutory Inclusion guidance was dropped in September 2014 and has not been replaced. The Government is increasing the provision for special schools and not encouraging good inclusive practice in mainstream schools. This is despite them being a signatory of the UN Convention on the Rights of Persons with Disabilities. In particular, Article 24 on Education, which has recently been clarified as a right to Inclusive Education by the CRPD Committee in General Comment No 4. The Government is also signed up to the Sustainable Development Goals, with No.4 specifically being the development of an inclusive, quality education system for all. As Simone Apsis recently wrote on SNJ, Article 24: A Right to Inclusive Education guarantees all Disabled learners a right to participate in all forms of mainstream education with appropriate support. However, when the UK Government ratified the UNCRPD in June 2009 it decided to place a number of restrictions on its UNCRPD obligations which subsequent Governments have upheld. When it adopted the UNCRPD and Article 24, it made an Interpretive Declaration and reservation. We notice very little emphasis in the SEND Code of Practice or in Government initiatives to develop this increasing capacity. In fact in recent years, a large increase in numbers of parents seeking special schools in would suggest a reduction in capacity to meet the needs of disabled children. The population of maintained special schools has gone from 87,010 in 2007 to 105,365 in 2016. Add to this the number of children with an SEN statement or a new Education, Health and Care Plan (EHCP) in independent schools has risen over the same period from 7,760 to 13,500. This is a definite trend away from mainstream in terms of placement. The United Kingdom reserves the right for disabled children to be educated outside their local community where more appropriate education provision is available elsewhere. Nevertheless, parents of disabled children have the same opportunity as other parents to state a preference for the school at which they wish their child to be educated”. This reservation has, among other things, allowed local authorities to send increasing numbers of adolescents and young adults with SEND away to institutions many miles from their homes, which the Lenehan inquiry is currently examining. 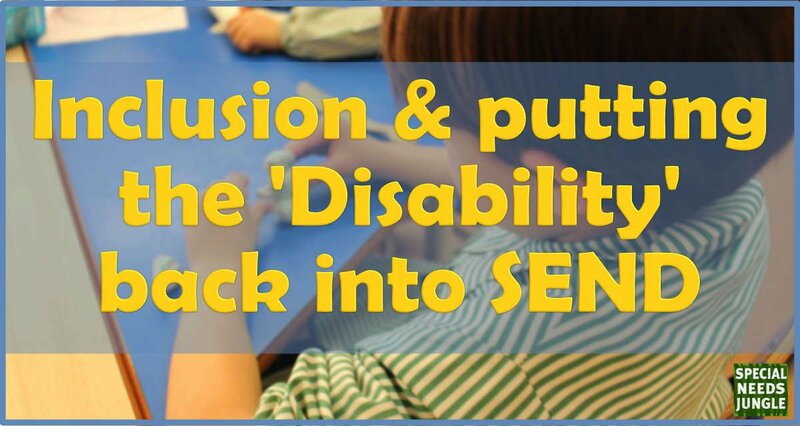 The main problem is that the SEND reforms are not a leading part of the Government’s education changes. Its policies all militate against the inclusion of children and young people and those with special educational needs. These include the push for more selection with grammar schools; setting up more free schools, especially special schools; the reduction in real funding and reorganisation of funding to one national formula; the introduction of a new knowledge based, narrower curriculum; more testing of our children; the abolition of national curriculum levels and the loss of parental control through the replacement of governors with proprietors of academy chains. As a disabled person who was a disabled child in the school system, I know the key issues are feeling safe, not being bullied and having your individual needs addressed in a way that takes one’s learning forward with confidence and support. They should not be made to feel that your learning difficulties are your fault or that your physical difference is that something that diminishes your self esteem. DfE statistics in 2016 show the vast majority, 90.6 percent, of school pupils and students with SEN are in mainstream schools (121,525 with statements or EHC Plans and 991,980 on school support) then it is interesting how little emphasis there is in the SEND Code of Practice on meeting their needs. An emphasis in the reforms on SEN –Assess, Plan, Do, Review hardly compensates for all the Government measures listed above that detract from inclusion. The SEND Code of Practice limits itself to Chapter 1 to talk about disability. But the vast majority of children with special educational needs also tick the definition under the 2010 Equality Act of Disability. This definition is not a high threshold and was drawn up in this way to protect from discrimination. To have rights under the disability part of the Equality Act, a child or young person needs to have a physical or mental impairment (loss of function) that has a substantial (more than minor or trivial) long term impact on their ability to carry out day to day activities (for 12 months or more, or likely to last 12 months or more). To be recognised by the school as disabled, the child does not need a medical diagnosis. The school can be told by the parents or surmise this for themselves. Thus, if the school has placed a child/young person on SEN Support, it is very likely that the definition will apply to them. It is also likely to apply to young people with medical needs and mental health issues who are not on SEN support. As soon as the school is informed, they have a duty to make individual reasonable adjustments including providing auxiliary aids and support for those who count as disabled. However, the duty to make reasonable adjustments is an anticipatory duty. This means that before knowing about an individual, they have to adjust their policies, provision, criteria and practices to not put disabled people at a substantial disadvantage and take steps to meet the likely needs of disabled learners. Governing bodies or the proprietor are under this duty. Policies, criteria, provision and practices need to take account of the need to make reasonable adjustments. For example, for admissions, exclusions, sports activities, school activities and trips, lunch time/after school activities and access to learning, should have been regularly reviewed and adjusted so as not to place disabled people at substantial detriment. The school is also under a duty to not discriminate directly, indirectly or on the basis of issues arising from disability, and to eliminate bullying and harassment. Disabled children and young people experience the highest level of bullying and harassment in our schools. The Anti Bullying Alliance focuses on this, but unless school staff and students take ownership of zero bullying, not much will change. A key part of this change and making schools habitable for disabled pupils, requires all schools to engage in developing an understanding of the social oppression that is disability. It is not the medical model/deficit approach. It is understanding that the systematic devaluing and negative attitudes to those who are physically and mentally different, is the result of culturally rooted prejudice and discrimination that must be understood and challenged. UK Disability History Month provides an opportunity each year to focus on this change. It runs from the middle of November to the middle of December. This coming year’s focus is Disability and Visual Arts. Why not ask your child’s school to participate; there is a wealth of material on the website for teachers to use in lesson plans. What should Parents do to ensure their disabled children are getting their rights? Many acts of discrimination occur inadvertently. But what if they continue once you have pointed out that your child is disabled and does not feel treated fairly? What is the school does not acknowledge and /or does not make reasonable adjustments? Complain to the Head if you are not not satisfied. Always take someone with you as a witness and note taker. Complain to the governing body or proprietor. If you do not get a change or the act of discrimination put your child at a substantial disadvantage contact SENDIST. If you are battling to get the right school support, this could be part of your disability discrimination claim. Usually the threat of the Tribunal will get an apology from the school, but sometimes they will fight to the end. If you think you have a strong case, don’t be put off. Make sure you have as much as possible fully documented. However, you have time after you have filed a case to ask the school for other documentation. Most of all, school Heads and staff need disability equality training and students need to be exposed to the social model of disability and become allies of their disabled peers struggle for equality. If taking to disability tribunal do not wait for school to change, make sure it is within 6 months of the first incident. The SEND tribunal found an Academy cannot discriminate if a child is off with medical needs and struck out the case. The Responsible Body argued it was the LA who should make the provision and the tribunal agreed that no discrimination could take place. The Responsible Body also argued that even the Department of Education had not recognised the CYP in the end of year 11 statistics. No education, no discrimination and no accountability. You can’t lump all disabilities together as one group though. As I’ve said below other posts on inclusion, inclusion should be a right but that doesn’t equate to it being right. For autistic children many times inclusion into large mainstream schools don’t work due to sensory issues, cognitive issues, socialising issues, anxiety etc. There is a lot of bullying of autistic children in mainstream also. The real world isn’t like the ideals that some people have.